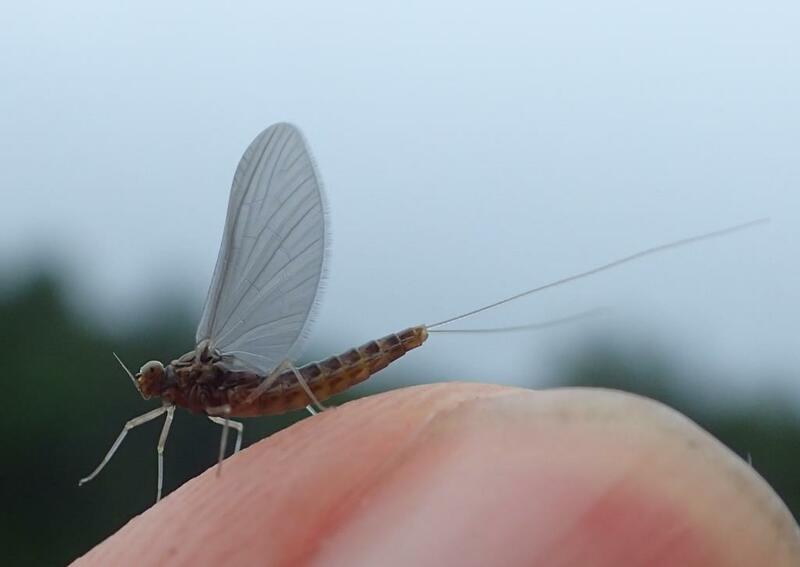 The so-called “major” hatches of mayflies are done for the season, but there is still plenty of activity. 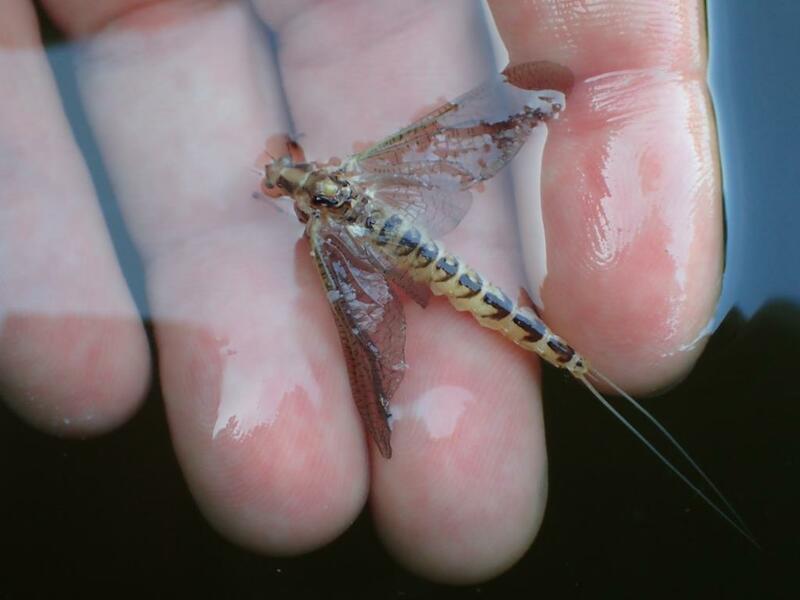 The flies are smaller and less noticeable (some are darn near transparent) and smart anglers carry a selection of “terrestrial” patterns like beetles, spiders and ants to cover rising fish. August fishing means patience, observation and creativity, so I put my keen skills to work the other evening and was able to narrow my fly choices to six. Six flies, total; three #14 cinnamon flying ants and three #16 rusty spinners, based on the content of that morning’s spider webs. 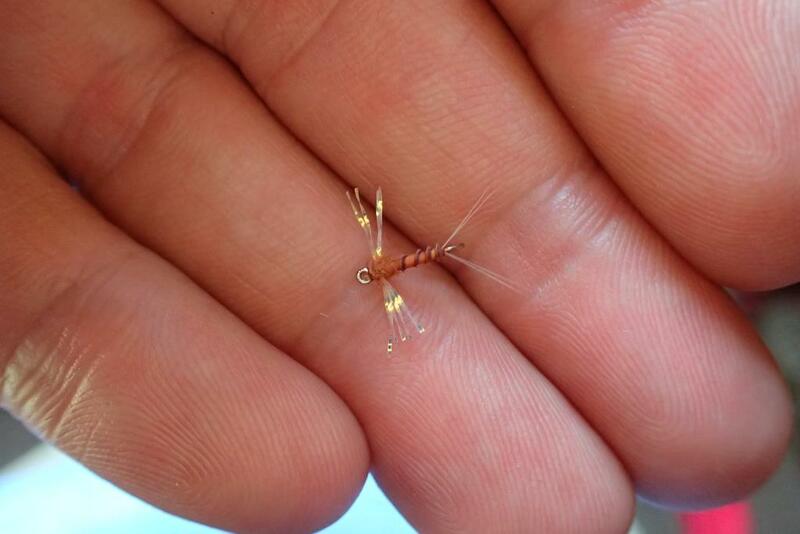 Late-season flies are just a little smaller. Nothing doing with the ants, under the lightning-scarred hemlock or anywhere else, for that matter. As the shadows stretched to the east, I headed to one particular cove I know (just upwind from the aforementioned spider webs), tied on a rusty spinner and waited for the fish to show. The wait was not long. 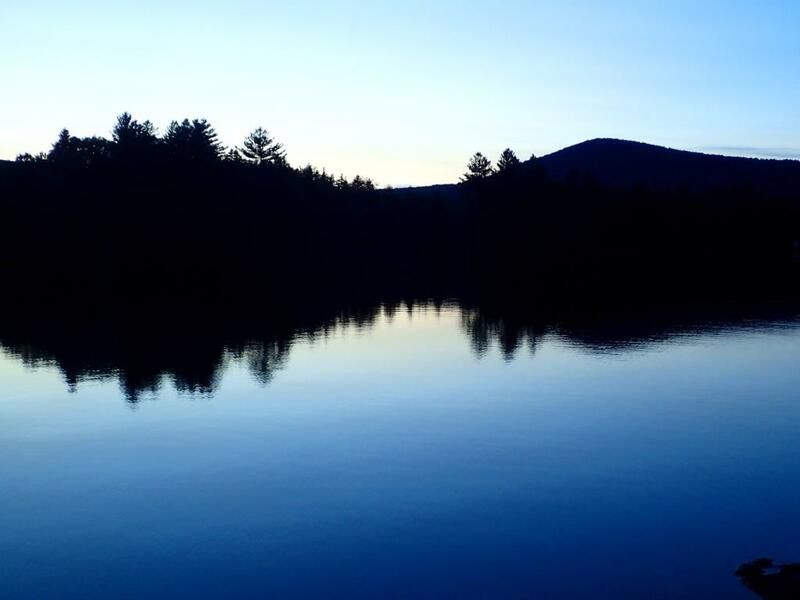 Two silvery lines traced the surface as a pair of trout cruised in from the main lake. The rings of their rises rippled the reflected sky and I covered the closest fish with a cast that went where it was supposed to and landed without commotion. Another rise, another cast to cover, another refusal. I shouldn’t say it was a refusal, though, having seen not even the slightest interest in my offering. My sixth cast shot out, and came down, with a bit more authority than intended and two silvery lines traced the surface as a pair of trout cruised back to the main lake. I drifted over to where they had been feeding, to see what they had been feeding on, prepared to kick myself for choosing orangey-red flies over yellow or white. As it turns out, color was not the only thing a wee bit off. Evidently, late-season flies are not always smaller. Reeling in, I clipped off my tiny, insignificant, totally wrong fly and headed home, happy and content to have, once more, been saved from the terrible fate that befell Mr. Castwell so many years ago. It should be noted that I was saved the next evening, too, when I headed out with nothing more than a few big #8 Hex patterns. Oh, I landed in the middle of a spinner fall, alright; dozens of rusty-colored ones, all size #16. That’s a great Skues story! “Hell! Exactly.” Condemned to catch trout for all eternity – horrible fate, eh?And I think it’s hell when I can’t catch ’em, much like your post.